A dog is never happier than when it is out on a walk, one of its most natural instincts; new scents and the outside world. As well as being natural for the dog it's important for exercise and well-being, making for a happy and well balanced dog which ensures a happy dog owner. West KentDog Care provides dog walking, dog daycare, dog home boarding services to the Tonbridge and Tunbridge Wells area. We can attend your home and collect your dog and return it after the allocated exercise. We are happy to feed dogs upon return and during wet weather will towel dry your dog. We can inform you when your dog has been collected and returned and will share images/videos of your dog on walks if required. You expect the highest care for your dog and need to trust your dog walker; particularly if they are entering your home. With our background you can ensure that this is paramount to the service we provide. We meet owners and dogs before any agreement is signed to ensure you are happy and we know you and your dog. West Kent Dog Care is fully insured. West Kent Dog Care was set up by Mark Ginsberg after retiring following a thirty year career as a police officer. 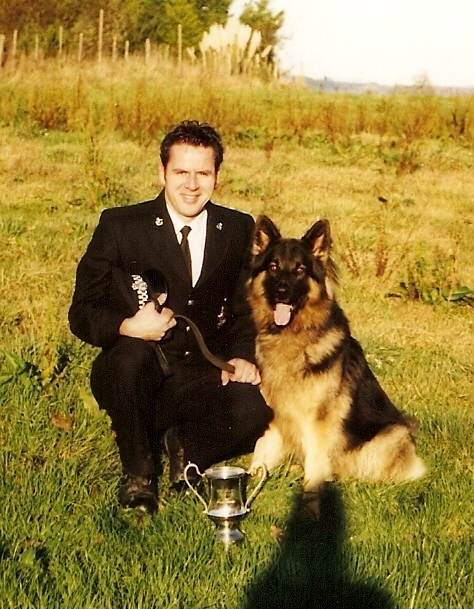 During that time Mark was a police dog handler for a number of years and handled both German Shepherds and Spaniels as well as supervising other dog handlers and dog welfare. Mark grew up around dogs and for all his adult life has owned dogs ranging from Great Danes to Yorkshire Terriers and many breeds in between. He lives with his family in a rural location between Tonbridge and Tunbridge Wells.